Classic Gaming Spotlight: Cyber Troopers Virtual-On - She's Lost Control! 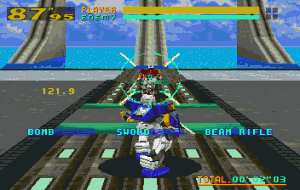 Virtual-On was an arcade game for Sega’s Model 2 arcade system. 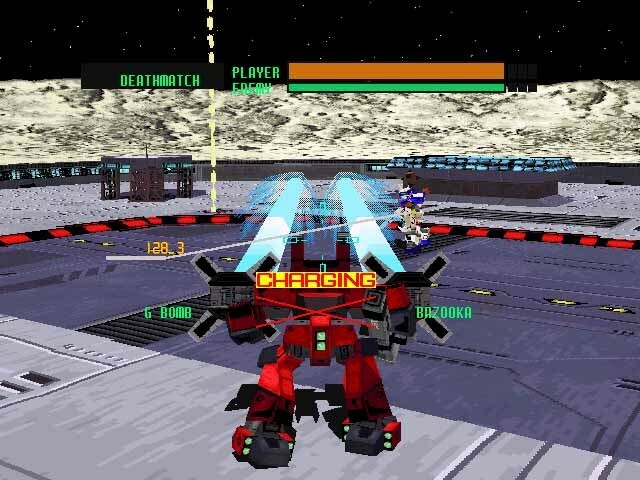 Of the Model 2 games, however, Virtual-On was special. What began as an ill-advised venture became a beautiful and incredibly solid game. Everyone called Juro Watari crazy when he said he wanted to make a fast-paced, full 3D arena fighting game for the Model 2. Juro Watari said “eff that” and went ahead with it anyway. The astounding thing is that, not only did it work, it was flawless. The game was the perfect fast-paced, full 3D arena fighting game, on a system that nobody thought it would work on. At the core of its setup, Virtual-On is a lot like most fighting games. Players play a series of one-on-one “arcade mode” matches, culminating in a boss fight. That, however, is where the similarities end. In Virtual-On, the player controls a mecha known as a Virtuaroid in full 3D combat. No side-to-side fighting here. In Virtual-On, two mecha dash around the stage, throwing bombs, missiles, and lasers at each other until only one remains standing. The eight Virtuaroids the player gets to pick from each have a different playstyle, from the lightly-armored aerial-focused Viper II, to the quick-moving Fei-Yen, all the way to the heavy and hard-hitting Raiden. Not only do each of the mechs have different weapons, but they each require a different style of play to use effectively, and are quite evenly balanced. This results in a highly competitive and very diverse game, as different players will take to different Virtuaroids, depending on how they prefer to play. The trick about Virtual-On was that it was intricately designed to just work on the Model 2. Every element of the game, from the graphics to the controls, was designed so the Model 2 could handle the game. 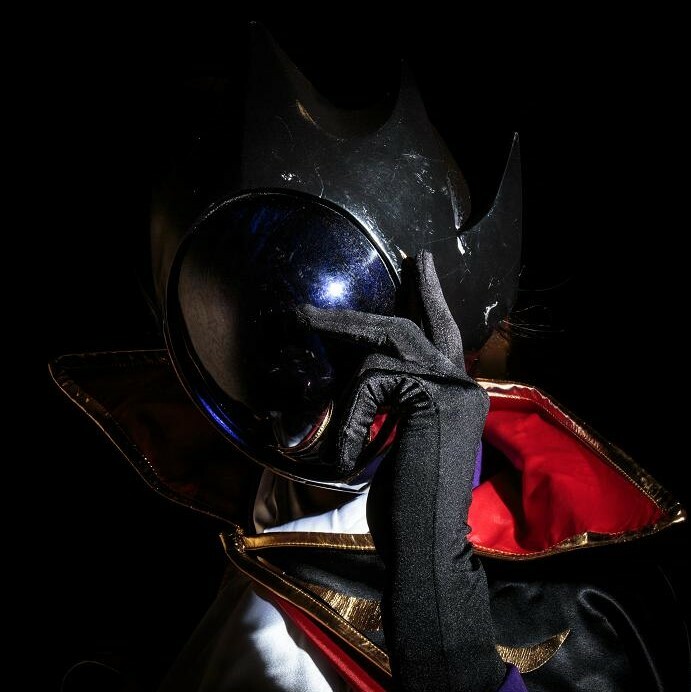 Hajime Katoki, famous for his mecha design work for anime such as Gundam 0083 and 08th MS Team, was brought on to design the Virtuaroids. High-polygon models would slow the game down considerably, unacceptable for Watari’s dream of a lightning-quick game. Katoki’s designs were the perfect solution to this dilemma. He produced mechs that, while having relatively low poly-counts, had a lot of personality. The second problem was that of keeping track of the two players’ positions on the field. Gameplay mechanics solved this problem. The game incorporated fixed-length, high-speed dashes. In addition, attacking while dashing would turn the player’s Virtuaroid in the direction of the opponent’s. Jumping worked the same way. 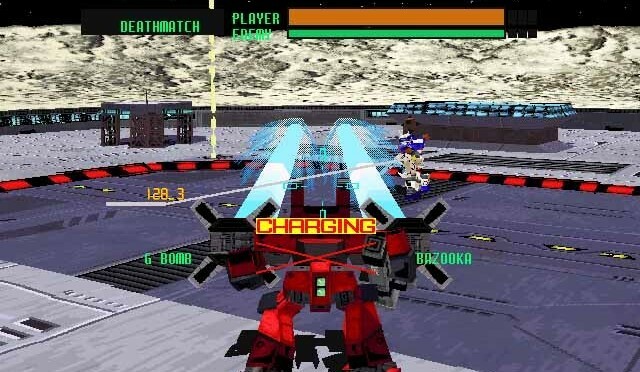 At the end of a dash, the player’s mech would also freeze in place for a split-second, adding a level of tactical complexity to the game, as players would actively jockey to take advantage of their opponents’ freeze-time. The third problem was having a precise enough control scheme for such a fast-paced game. Enter Virtual-On’s unique control system, the twinstick. 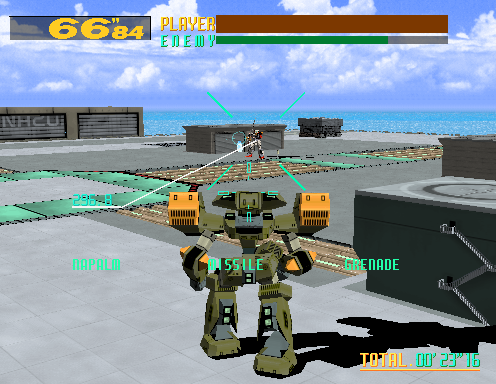 Two inputs meant that the player had double the control over where and how the mech was moving. 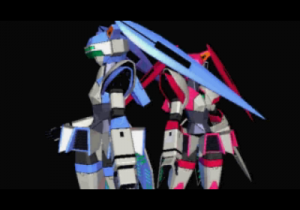 Virtual-On was tailor-made to run on an arcade system that would not have run it otherwise. Everything from the character designs to the control scheme was designed not only to work within the Model 2’s limitations, but to make those limitations seem like intentional gameplay elements. Virtual-On is an example of what happens when a development team pushes their hardware to its very limit, while still endeavouring to create a game that runs smoothly and without glitches. 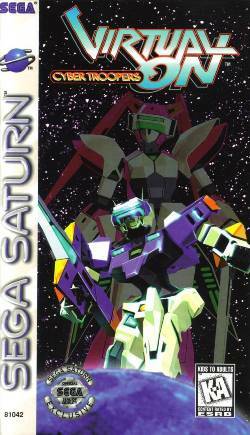 The game was so successful that it was ported to both the Sega Saturn and PC, and while neither version was quite as polished as the arcade version, they played just as well. 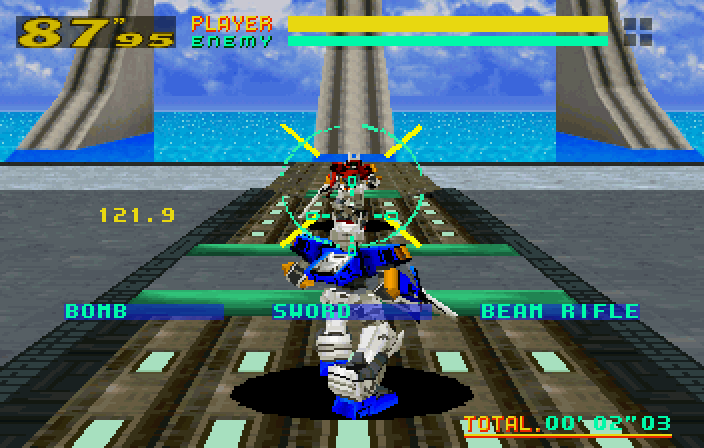 If you ever find yourself with the opportunity to play Cyber Troopers Virtual-On, do. It’s truly one of the greatest video games ever created, and the gameplay still very much holds up today.